Mendon, Utah, is buzzing these days. In addition to the thousands of beehives that beekeeper Martin James cares for in northern Utah, his company —Slide Ridge—is poised for great things in the coming year. The family-owned business, known for its raw honey and two flavors of Honey Wine Vinegar, is transitioning to a full-scale corporation, and the first non-family employees have recently been hired. With an infusion of new personnel to take care of the day-to-day duties, the Slide Ridge family founders have been freed up to develop new products and return to their local roots. You’ll be seeing Slide Ridge at several winter farmers markets, including the Winter Market at Wheeler Farm and the Downtown Winter Farmers Market every other Saturday. 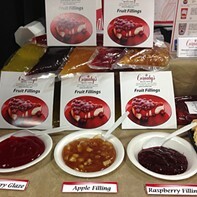 Most importantly, Slide Ridge will be sampling and selling several items available only to local customers. The first is gallons of apple cider, made from the same apple cider recipe used for the Honey Wine Vinegar products for the past five years. 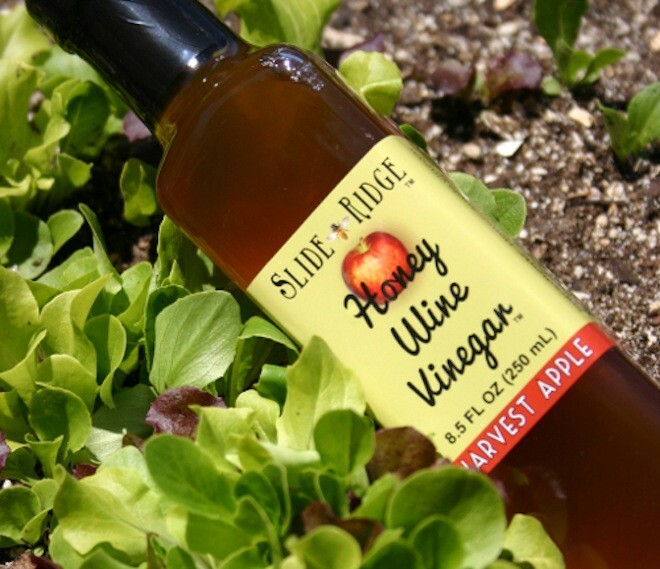 With the purchase of a pasteurizer, Slide Ridge can now sell the cider directly while the vinegar products age. And Utahns seem keen to enjoy the cider immediately: At the final weekend of summer farmers markets, Slide Ridge sold just shy of 200 gallons. Another product Slide Ridge is testing in Utah is a whipped honey butter. The unsalted butter is currently being sourced from Gossner Foods and mixed with Slide Ridge Honey. On a national scale, Slide Ridge has amped up distribution. The newest Honey Wine Vinegar product hitting the country is called Martin’s Green Chile & Honey marinade—an equal part mix of the original Honey Wine Vinegar and Hatch fire-roasted green chilies. It’s primarily a marinade for meats, but can also be used as a salad dressing or a light sauce for chicken wings. The character of the marinade may be why James’ sisters decided to put his name on the bottle. “They said they wanted more personality,” he says—and the effervescent James certainly has character to spare. In late 2014, look for Slide Ridge to launch two new malt vinegars nationally—a doppelbock and a pilsner mixed with the original Honey Wine Vinegar. A third malt vinegar, of the Hefeweizen variety, is also in the works.